Garage Door Repair San Bruno is your only dependable source of effective repairs and maintenance solutions for all garage door units. Regardless of the complexity of the application, we can solve any issues you encounter. Call us anytime at your convenience and let us take care of your investment accordingly. When your garage door is not properly maintained, there is a huge risk of unexpected breakdowns, which may also result to more expenses. Hence, it is vital to keep it checked and inspected on a regular basis. 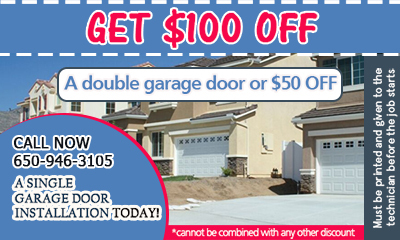 Let the experts at Garage Door Repair San Bruno do the job for you.